➤ Reserve your spot by making a $400 deposit which will never expire! Learn more about our lifetime deposit. ➤ Don't forget to check out our charity Machu Picchu Inca Jungle Trek + Rainbow Mountain. The Inca Jungle Trek to Machu Picchu is by far the most adventurous trekking option in Cusco region. It includes a variety of outdoor activities for you to enjoy - a massive downhill mountain biking experience, followed by river rafting on Grade III and IV rapids, hot spring, jungle trekking, and zip-lining. It culminates with a visit to Machu Picchu. It also includes recently discovered Inca paths, archaeological remains and beautiful mountains from the Abra Malaga to the green valley and the jungle basin of Santa Maria. After returning to Cusco, enjoy a day trip to the incredibly Instagrammable Rainbow Mountain. *All the required gears and activities are included in the package price. Visit the most the most instagrammable place - Rainbow Mountain. Enjoy various sports and activities: mountain biking, white water rafting, zip-lining, hot spring spas, etc. Attend a cooking class and learn how to make authentic Pisco sour, ceviche, and more! 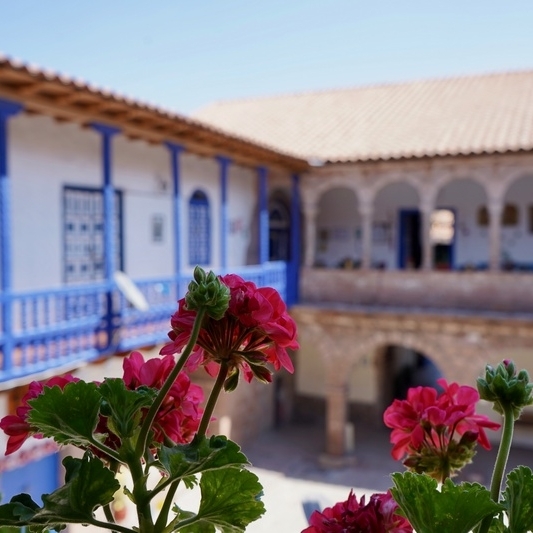 Upgraded accommodations - You will be staying at 4-star hotels in Cusco and the best eco-lodges during the Inca Jungle Trek. Is this tour right for me? 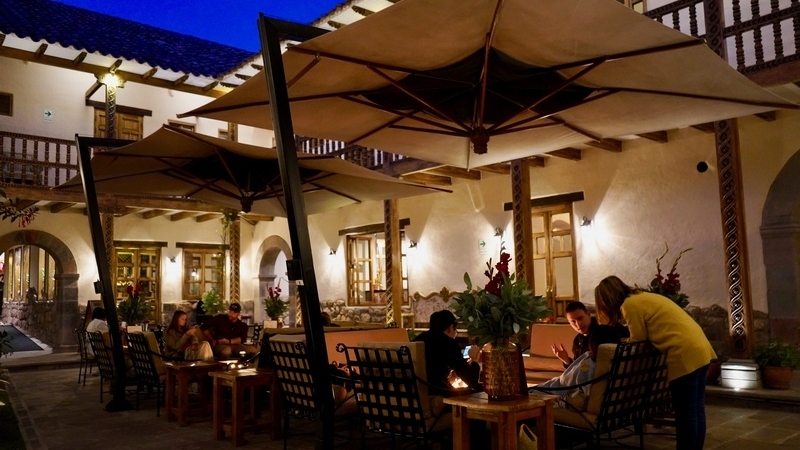 Luxury 4-star hotels in Cusco and upgraded lodges during the trek; private and public transportations. Some high-altitute hiking. Strenuous outdoor activities-mountain biking, ziplining, and rafting. No prior climbing or mountaineering experiences required. Travellers under 18 must be accompanied by an adult. Welcome to Peru! Our local representative will greet you at the airport and transfer you to the hotel. Leave Cusco early after breakfast. Today you will enjoy a 2.5-hour mountain biking and 2.5-hour white water rafting along the Urubamba River. Today is hiking day. You will trek along the Inca Jungle trail and Urubamba river. Arrive in Santa Teresa in the afternoon and finish the day with a visit to Santa Teresa hot springs. In the morning, you will fly through rivers and jungles by ziplines. After a short break, you will take a hike to Aguas Calients. Finish the day with a great dinner. Wake up early to catch one of the first buses to Machu Picchu. Enjoy a guided tour to learn about the culture and history of the ancient Inca ruins. In the afternoon, catch a train back to Cusco. Enjoy a retreat day to recharge. In the morning, have a hearty breakfast and enjoy a guided city tour to explore the historical town. In the afternoon, join our talented local chef to shop at a local farmers market, followed by a fun cooking class. Enjoy a day trip to Rainbow Mountain. Our local representative will transfer you to the airport. Welcome to Peru! Our local brand ambassador will greet you at the airport and transfer you to the hotel. Feel free to enjoy the rest of your day exploring the city as you acclimatize. After picking up from the hotel, we will take a ride to the Malaga High Pass where our adventure begins. 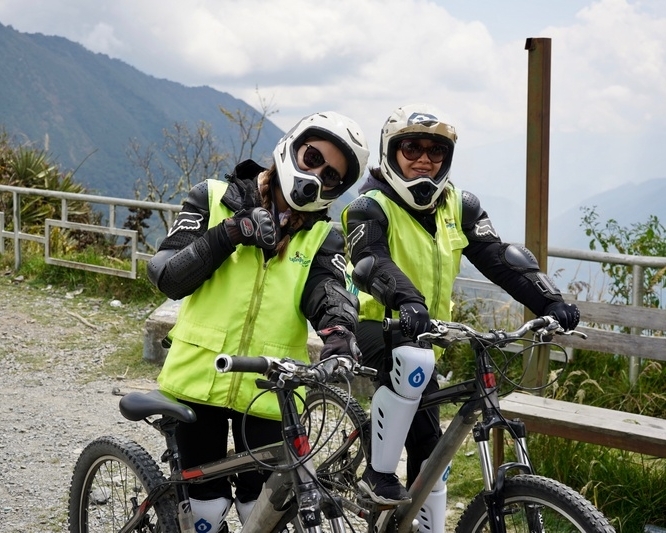 After briefing, we will enjoy a 2.5-hour mountain biking and explore the Huamanmarka Archaeological site along the way. When we arrive at Santa Maria village, we will enjoy a scenic 2.5-hour rafting adventure on the Urubamba River (also known as Vilcanota River). If you choose not to participate in the rafting activity, you can explore the town on your own. Spend the night in a jungle lodge in Santa Maria. After breakfast, start the day with a short but intense climb to the Inca jungle trail. Then we descend to Quellomayo where we will stop for lunch and have some time to relax. After lunch we continue to trek along the Urubamba river. Later we will cross the river in hand-pulled cable car. (thrilling but safe!) You will finish the day with a visit to the Santa Theresa hot springs. Sink into the warm water and let the ache and tiredness go away. Spend the night in a comfortable hotel in Santa Theresa. For people who would like to fly through rivers and jungles, enjoy the zipline. The rest of the group will continue to hike along the trail. Later the whole group will rejoin. After a short break, the journey will continue along the great Inca jungle, hike through waterfalls, coca and coffee farms until arriving at Aguas Calientes. Tonight we will get together to have a great dinner. We will also get briefed about the trek to Machu Picchu the next day. Wake up early today to catch one of the first buses to Machu Picchu. Enjoy a guided tour to learn about the culture and history of Machu Picchu. After the guided tour, take time to explore the wondrous ruins before descend to Aguas Calientes. Make sure you arrive at the train station in time to catch the train back to Cusco. After arrive in Cusco, we will be greeted by our guide and transferred to the hotel. Enjoy a retreat day to recharge. In the morning, have a hearty breakfast and enjoy a guided city tour to explore this historical town. In the afternoon, join our talented local chef to shop at San Pedro farmers market, followed by a fun cooking class. Leave early for a 3-hour drive to Quesiuno community, where is the starting point for the hike. Ascend approximately 3 hours to reach the Rainbow Mountain. You will spend about 30min – 1hr exploring the area and take pictures. Then start trekking down to the starting point of the trail, which takes about 2 hours. Feel free to do any last minute souvenir shopping before heading to the airport. Our representative shall assist you with your departure. We hope you had a great time with us and look forward to seeing you again in our next adventure. Have a safe journey ahead! All outdoor activities fees and gears, including mountain biking, zip-lining, and water rafting. Bedding are limited during peak season. Please contact us if you would like to have your own roon. We will try our best to accommodate to your needs! **Please note that anything else not specified in the above session is not included in the trip price. Contact us if you have any questions. While it is our intention to adhere to the itinerary described, there is a certain amount of flexibility built into the itinerary and on occasion it may be necessary or desirable to make alterations. The itinerary is brief, as we never know exactly where our journey will take us. Due to our style of travel and the regions we visit, travel can be unpredictable. The itinerary is a general guide to the tour and region and any mention of specific destinations or wildlife is by no means a guarantee that they will be visited or encountered. Additionally, any travel times listed are approximations only and subject to variance due to local circumstances. Rainy Season (Nov–Mar): The wet season begins in November and gets into full swing over the months of December, January and February. During this time, Machu Picchu has the greatest amount of rainfall of the year. The Inca Trail is closed every year in February for restoration. We do not recommend trekking Machu Picchu these months as the chance to encounter rain is high. Dry Season (Apr–Oct): Rain begins to dry up towards the end of April and the trekking season begins. The daytime temperature averages between 63F and 70F, and the nighttime temperature can drop as low as 32F. For citizens of the countries listed below, a visa is not required for a tourist visa to Peru for up to 183 days. Traveler must be in possession of a round-trip airline ticket and a passport valid for 6 months beyond stay with at least 2 blank pages. After passing customs at the airport, our local representative will greet you at the arrival gate, holding placards with our company's logo and your name on it. In case you have trouble finding our representative, please contact the emergency contact and our local contact will help you. We have upgraded the accommodations for the Inca Jungle Trek. In Cusco, you will be staying at a 4-star hotel, and during the Trek, you will be staying at one of the best eco-lodges in the area. Peruvian cuisine has been profoundly influenced by the immigrants, including the indigenous Inca, the Spanish, the Chinese, the Italians, the Japanese, the Germans and the Africans. 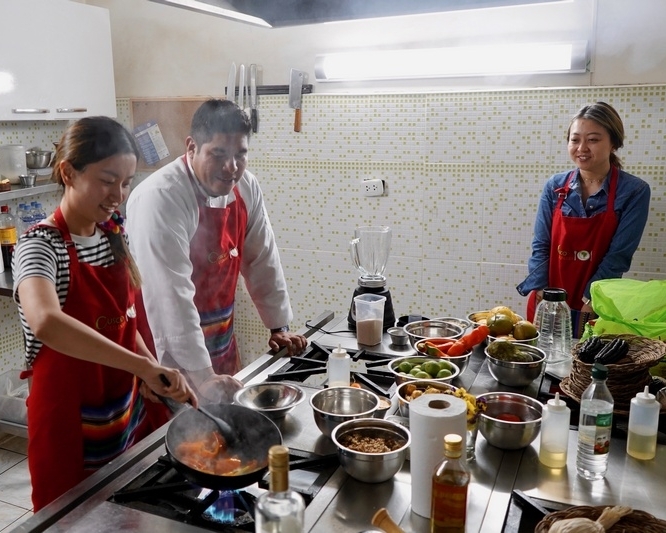 You will not only get to taste a variety of Peruvian foods and drinks during the trip, but also join a cooking class to learn to cook some of your favorite dishes from an experienced local chef. Foreign travelers should avoid drinking tap water or eating ice cubes at all times in Peru, despite improvements to the country's water and sanitation systems over the last few decades. We recommend you to bring water purification tablets with you. They are handy and environmental friendly when you are in remote areas. The other option is to buy bottled water. Make sure the seal at the top of the bottle is not broken. You should consult your family physician doctor for up-to-date medical travel information well before departure. You must be fit and should be in good health. Please also make sure you bring all your prescription drugs with you. Our guides will bring a first-aid kit for minor sickness and injuries. Please note that all travelers are required to complete the sections ‘A’ and ‘B’ of the medical form. If you have indicated that you have a pre-existing medical condition you are required to complete section ‘C’ also which must be signed by your physician. This is to ensure that travelers have the necessary fitness and mobility to comfortably complete their chosen trip. There’s no obligatory vaccination schedule for visitors to Peru. That means you won’t be required to show any medical paperwork on arrival. But because of poor hygiene, poverty and poor conditions in many areas of Peru, travelers are encouraged by the Centers for Disease Control and Prevention to get a number of vaccines to prevent illness and disease, especially if traveling to rural areas. Please arrange a visit to your personal physician and ask about vaccines and medicines you need based on where you are going, how long you are staying, what you will be doing, and if you are traveling from a country other than the US. 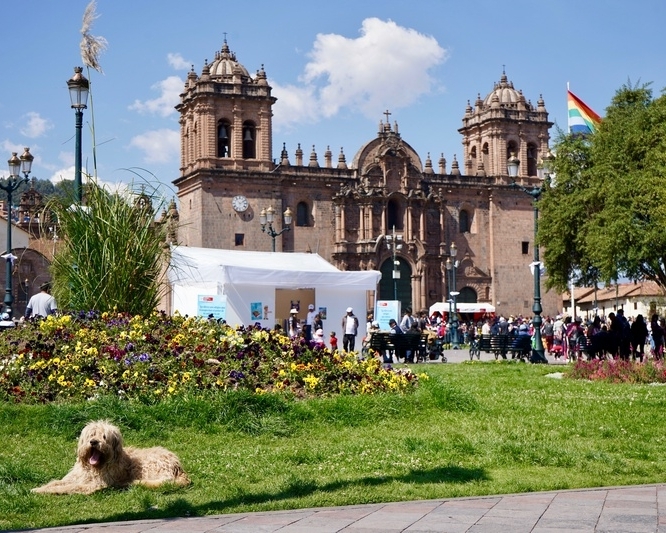 Cusco, the capital of the Inca Empire, located at 11,152 feet/3,399 meters above sea level, where lack of oxygen is the major thing that can prevent you from enjoying your trip. Machu Picchu is significantly lower, located at 7,972 feet/2,430 meters. Altitude sickness generally starts affecting people at 8,000 feet or higher, so Machu Picchu isn’t really the potential problem – Cusco is. At high altitudes, the decrease in atmospheric pressure makes it difficult to breathe due to less oxygen. However, it is common for people to experience mild altitude sickness, which usually goes away after 2-3 days. Rest well and stay hydrated. If the altitude sickness gets worse, please speak with your guide for medical assistance. Travel insurance is mandatory for all our travelers. Your travel insurance must provide coverage against personal accidents, death, medical expenses and emergency repatriation (including air ambulance and helicopter rescue services) with a recommended minimum coverage of US $200,000 for each of the categories of coverage. We also strongly recommend travel insurance that covers cancellation, curtailment, personal liability and loss of luggage and personal effects. You must provide proof of your travel insurance on the first day of your trip; you will not be able to join the trip without it. If you have credit card insurance, we require proof of purchase of the trip (a receipt of credit card statement) with a credit card in your name. Contact your bank for details of their participating insurer, the level of coverage and emergency contact telephone number. Adventuresses are required to be at least 18 years old if traveling independently. Our tours are open to younger adventuresses aged 15 or older, who must be accompanied by an adult over 21. A parent is required to fill out the “Travel with Minors” form in this case. If the adult is not a parent, he/she is required to fill out a “Parental Consent Guardianship Form” and get it signed by the minor’s parent. 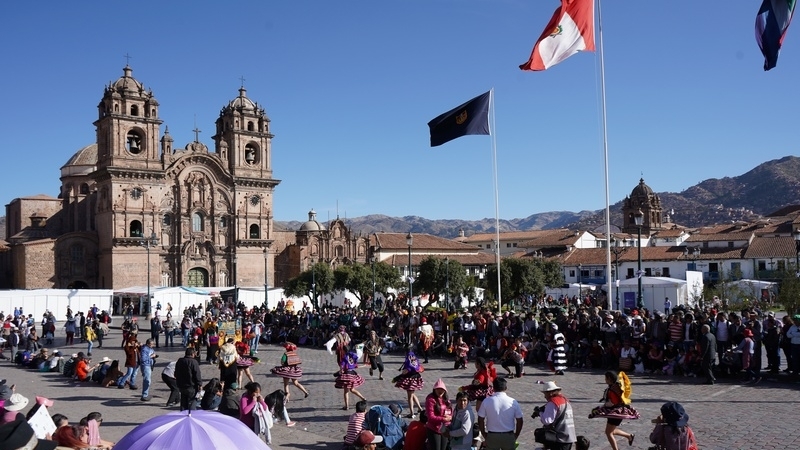 Peru has Internet services in Cusco and other major cities. Many hotels and restaurants provide Wi-Fi and there are also many internet cafes in major cities. However, services are very weak or do not exist in remote areas. The official currency in Peru is Nuevo Sol. Foreign currency should be exchanged through banks or authorized money exchange. Visitors can exchange currency at the airport upon arrival. It is recommended to retain receipts for money exchange transactions. Visa cards are the most widely accepted cards. While ATMs are widely available, there are no guarantees that your credit or debit cards will actually work in Latin America. Check with your bank prior departure. Do not rely on credit or debit cards as your only source of money, a combination of US dollar cash and cards is best. Always take more rather than less, as you don't want to spoil the trip by constantly feeling short of funds. Please be advised that slightly torn notes, notes that have been heavily marked or are faded may be difficult to exchange. It is best to bring notes in good condition, in denominations lower than 100USD (or equivalent). Peru is an ideal place and a frequent haunt for photographers offering immense opportunities for photography especially during our outdoor sightseeing trips. However, make sure you ask a person’s permission before taking his or her photo. 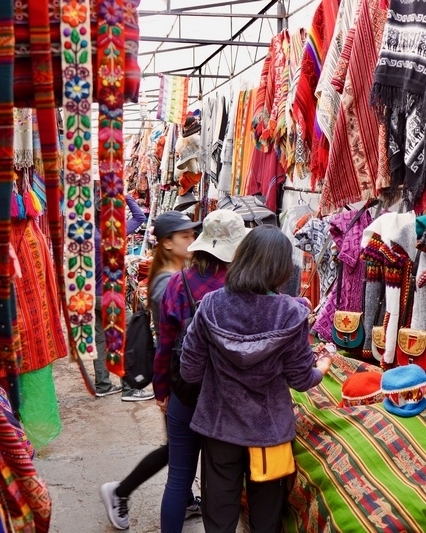 People from traditional Andean community take offense at unsolicited photography. Tipping is an expected - though not compulsory - component of your tour program and an expression of satisfaction with the persons who have assisted you on your tour. Although it may not be customary to you, it is of considerable significance to the people who will take care of you during your travels. There are several times during the trip where there is opportunity to tip the local guides or drivers we use. Recommendations for tipping drivers and local guides would range from $5-10 USD per day depending on the quality and length of the service. Most people assume the weather is hot in South America. The truth is that due to high elevation in the Andes, the temperature can be quite low, especially at night. This is an active trip and you will be responsible to carry your own luggage, so pack as lightly as possible. We recommend using a backpack or a medium-sized suitcase for your international travel. A daypack is also essential to carry your everyday items during the Inca Jungle Trek. You may leave some of your luggage in the hotel at Cusco where we will be staying, but you will need to take all your necessary gears with you. Subscribe to our new adventures, special offers, and travel stories from our favorite adventuresses!